Although she missed the spot it is a significant event on the road to successful breeding. A native of southern and western Australia, the “Leafy” is facing extinction in the wild and is highly protected. 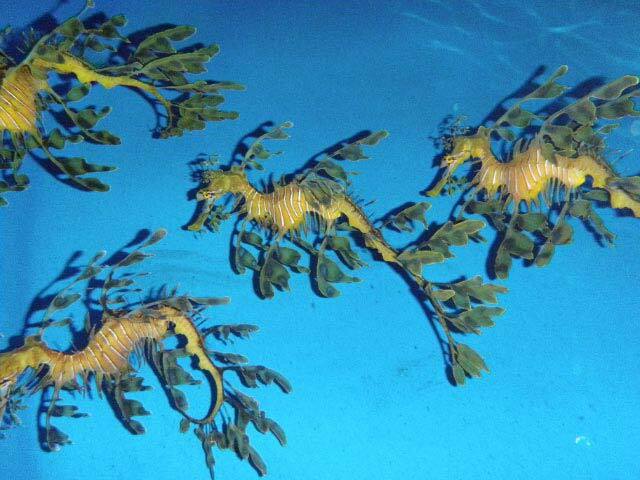 Ocean Rider is permitted to breed these endangered Leafy Sea Dragons and in so doing, becoming the first successful captive breeders of this endangered species in the world. This will eliminate the need to take these rare and exotic sea dragons from the wild preserving and protecting the last remaining wild “Leafys” forever. The breeding of this cousin of the seahorse is considered to be the holy grail of marine aquarium aquaculture. It is extremely difficult in part due to the fact that these delicate dragons require an environment of complete peace and quiet, a specific photoperiod, extremely clean sea water, very large breeding areas, and a diet of live micro shrimp with just the right balance of long chain fatty acids. 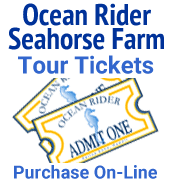 Ocean Rider has been successful in breeding over 25 different endangered seahorse species from around the world. We are now focusing on the Dragons and the Hawaiian Reef Fish as well. The successful breeding of these endangered species helps to protect our coral reefs and coastal waterways around the world caused by the overfishing of these reef fish for pets and food. We would like to say thank you to all our friends for supporting Ocean Rider and the Seahorse Hawaii Foundation over the last 12 years! !